Normally, the red swamp crayfish is rather fearless. But if it has to replace its carapace with a new one, its bravery disappears, as Julien Bacqué-Cazenave and colleagues report. Crustaceans do not have a skeleton inside their body, like we do. Instead, they have a carapace, an external skeleton. This sturdy box in which they are packed protects them from physical harm. But there is a drawback: the carapace limits body growth. That is why the animals must, from time to time, replace their carapace with a larger one. The old one is shed, a new one is formed. That is no trifle, as Julien Bacqué-Cazenave and colleagues show. The researchers wanted to know how the red swamp crayfish, Procambarus clarkii, is doing during a moult. The species originally occurs in Mexico and the south of the United States and has been introduced in many other places; it has settled as an exotic species in Europe. Its moult is a lengthy and complex process. The chitin, of which the carapace consists, is secreted by the epidermis and the carapace is attached to it. So, it is must be separated from the epidermis, which has to form a new one. The attachments of the muscles that are anchored to the armour have to be transferred. As soon as the old carapace is shed, the new one is exposed. This leaves the crayfish unprotected and vulnerable, as the newly formed carapace is thin and fragile in the beginning. 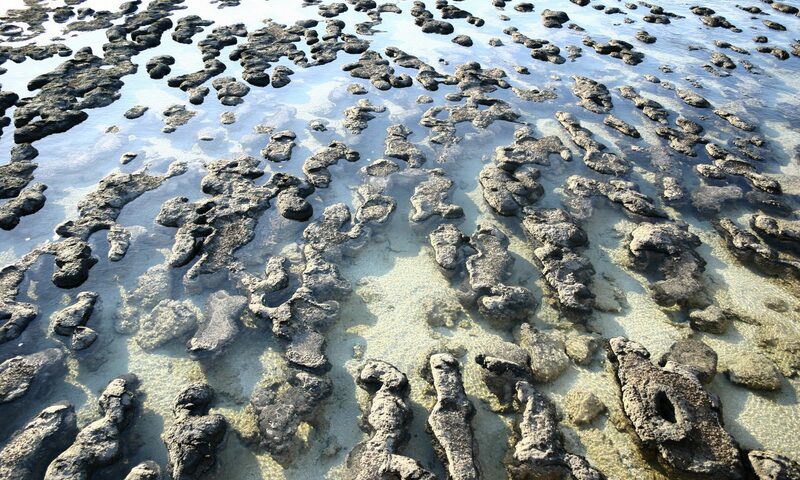 It has to thicken and harden before it can protect the animal. The entire process of moulting takes about a month: two weeks before the old armour is shed and two more weeks until the new armour has hardened. 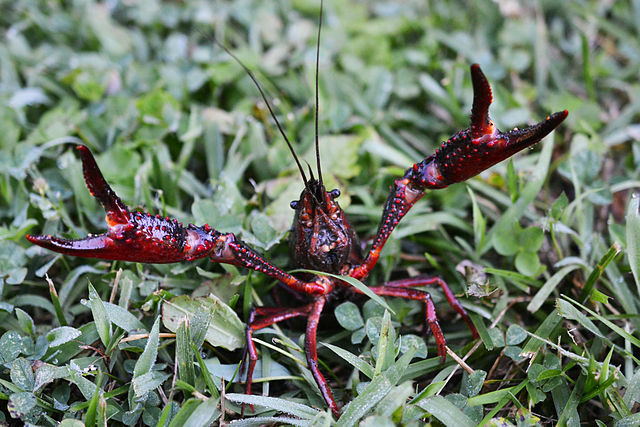 The red swamp crayfish normally is courageous, but during the month of moulting, especially during the third week, it is not at ease, as experiments conducted by Bacqué-Cazenave show. He tested the animals every two or three days in a plus-maze with two illuminated and two dark arms. Crayfish that did not experience any stress spent 40 percent of their time in the illuminated part of the plus-maze. But when they were about to shed their carapace, they began to avoid the light a few days in advance, and the first week after moulting they stayed in the dark areas almost continuously. From earlier work, the researchers knew that the animals behave like this when they are anxious. The aversion to light was indeed associated with moulting, according to tests in which the animals were given a hormone that initiates the moulting process, a so-called ecdysteroid. But when the animals were also given a tranquilizer, they did not avoid the illuminated areas. From this, the researchers conclude that the light aversion is an anxiety reaction. Obviously, the period of moult is hard. But when it is over, the crayfish is safe in its armour for the next two to six months.